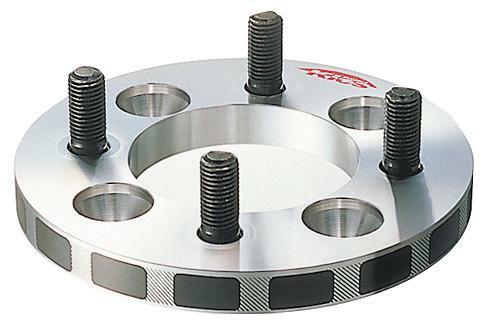 Direct from Japan, the Kics Project Wide Thread Wheel Spacers are used to bring out the wheels of your car outer to give aggressive look and close the space gap. The Kics Project Wide Thread Wheel Spacers are also used to clear spacing between your big brake kit from the wheels. These spacers come with new studs already installed with all necessary hardware. Available in 15mm, 20mm, 25mm, and 30mm for most popular Japanese vehicle applications (1.5mm / 1.25mm). May require use of Kics Project Hub Centric Ring.